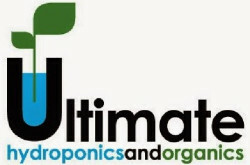 Warehouse stocking a variety of equipment, fertilizers & nutrients for indoor gardening projects. would like to say that this was the most horrible work experience one individual has ever had working for a so-called corporate entity. While working there I had to deal with a very hostile cocaine fueled and hungover LANDON TEMKE every shift I worked with him. The manager William has no control over this guy since he brings in $40,000 sales of dirty money but that’s okay since Landon is only here to try to trick the feds on how he makes his money while the rest of us are Colorado residents working hard for our money you have this joke of a human being giving everyone a hard time while on drugs. But thats ok though I think it’s a joke that this guy could even get a job here what’s your criminal convictions for again distribution of cocaine and several other illicit drugs. I realize that that this state is a hub for you and your dirty disgusting dread lock hippies to run your drug deals out of. Also customers that are shopping here FYI when Landon is helping you REMEMBER he’s selling you nonsense you don’t need. So when you hear him say THIS IS WHAT IM GONNA DO FOR YOU!!! it’s his used car salesman pitch and you’re about to get took CUSTOMER’S BEWARE!!! Working in the marijuana industry is like a Jack Johnson song Where Have All the Good People gone. I love how pompous William is claiming the title MR. COLORADO have you won a Cannabis Cup or done anything outside of 18 plants you do in your home??? I truly do understand why this shop is so dead all the time you guys actually a track the out-of-towners that will listen to your gibberish!!! PS PETE AND EDDIE CHECK THE CAMERAS ON THE DAY OF THE CUSTOMER APPRECIATION PARTY OR YOUR AUDIT AND SEE HOW LANDON MANUALLY ENTERS A CC NUMBER WITH A CUSTOMER’S MOM GIVES HIM THE NUMBER TO THE CC OVER THE PHONE. SOME WOULD SAY THAT THIS IS AGAINST CORPORATE POLICY IF I REMEMBER RIGHT. WILLIAM COULD CARE LESS WHAT GOES ON HERE WITH HIS EMPLOYEES AS LONG AS GOOD OLD LANDON MAKES HIS BONUSES FAT!!!! ALSO DOES EVERYONE KNOW THAT THE RAFFLE WAS RIGGED THE DAY OF THE HTG CUSTOMER APPRECIATION PARTY??? LANDON TEMKE IS HTG BEST CUSTOMER BUT HE’S ALSO A HTG EMPLOYEE WHICH WOULD DISQUALIFY HIM FROM PARTICIPATING FROM ANY DRAWINGS THAT ARE FOR CUSTOMER’S. FURTHERMORE HE TOOK HUNDREDS OF TICKETS THAT WERE SUPPOSED TO BE DONATED TO OTHER CUSTOMER’S FOR A SHOT AT WINNING THE RAFFLE NOT AN EMPLOYEE. SO EVEN THOUGH A LOT OF YOU WANTED TO WIN THE BIG PRIZES IT WAS NEVER GONNA HAPPEN DO TO LANDON HAVING OVER 2 FULL ROLLS OF DRAWING TICKETS!!!! SO REMEMBER THAT WHEN THEY TRY TO DO A RAFFLE AGAIN!!!! 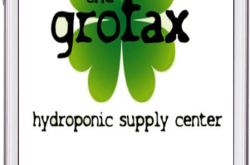 DID ANYBODY NOTICE THE DISGUSTING HIPPIES WHO KEPT WINNING THOSE WERE LANDONS FRIENDS POSING AS THE CUSTOMER’S AND THE DON’T EVEN LIVE IN THIS STATE OR SHOP AT HTG!!! !